For this series, I will look into the one-versus-one ProLeague records of the historical ace players of various teams. To start things off, I will pick SK Telecom T1, widely considered as the greatest Brood War franchise of all time. They are one of the four franchises that managed to compete in all of the Brood War ProLeague seasons in one form or another, and boast a rich history of successful campaigns and a plethora of incredible ProLeague aces at their disposal. Because the ProLeague format was so drastically different throughout the years, it makes sense to rate each ProLeague performance in accordance to the circumstances of each of the eras. A player doing fantastic in 2003, for example, will invariably (due to the limited number of opportunities) end up with less number of ProLeague victories than even the most mediocre ProLeague A teamer playing barely up to par in 2010. To provide proper context, I will list the records of the top five ProLeague performers of the time-frame I specified for the various ProLeague one-versus-one aces for SK Telecom T1, and how the ace players of SK Telecom T1 stacked up against the other ProLeague beasts of their eras. So without further ado, who were the true one-versus-one pillars of SK Telecom T1, the team that won both the first and last ever pure Brood War ProLeague championships? Until his temporary ban from the ProLeague in SKY 2005 ProLeague R1, iloveoov was the single most frightening one-versus-one force in the entire scene. Not only did he manage to gather more one-versus-one ProLeague victories than any player out there, he did so with a frighteningly high win rate. No other player of this era could match him. With the help of iloveoov's monstrous one-versus-one performances, SK Telecom T1 managed to reach two ProLeague finals, winning one, and narrowly losing the other. For the first two years or so of the ProLeague, iloveoov was by far and away the best ProLeague player if one were to only consider one-versus-one matches into account. Midas was the key signing for SK Telecom T1 after their somewhat disappointing 2004 season. With their previous ace, iloveoov, the best one-versus-one ProLeague player by some distance at the time, being banned for the first half of 2005 for contractual complications, Midas had a lot of responsibility on his shoulders. And what Midas did, was turn things around for SK Telecom T1 in what was probably their most glorious period in history. With a staggering win-rate that mirrored iloveoov at his absolute prime, Midas was able to gather more ProLeague one-versus-one victories during this era than most of the other ProLeague aces aside from NaDa, Sea, and Stork. Towards the end of his stay at the team, Midas wasn't able to prevent what was once the invincible Armada of SK Telecom T1 turning into a joke of a team. 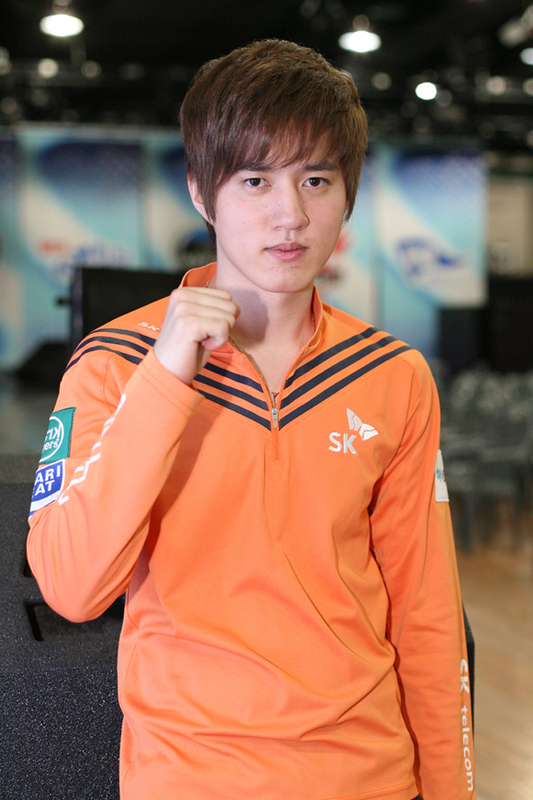 However, there is no denying at Midas was the clear ace of SK Telecom T1 for two years just like iloveoov before him. During the darkest years of SK Telecom T1, when all the former aces of SK Telecom T1 such as iloveoov and Midas were a shadow of their former selves, and Bisu had yet to fully adjust to the SK Telecom T1 house, BeSt was the only source of hope for SK Telecom T1. While several ProLeague aces were able to gather more victories for their team, BeSt stood out from the rest with his high win percentage. Bisu was able to spearhead the resurgence of SK Telecom T1 as a ProLeague powerhouse after around three years of deep slumber. His second in command was FanTaSy, a player who was the fourth best ProLeague player for this specific time-frame after Flash, Jaedong, and Bisu. Together, these two ProLeague workhorses were responsible for numerous seasons of ProLeague success, reaching all the finals of the major ProLeague finals, and winning the entire thing on two separate occasions. Bisu was by far the longest serving ace of SK Telecom T1, being the pivotal focus of the team for years on end, with FanTaSy sometimes picking up the slack when Bisu slumped from time to time. For this particular time-frame that lasted over three years, SK Telecom T1 was in possession of two of the top five ProLeague performers in the scene, something was rarely seen for such a lengthy period of time. While Flash and Jaedong were individually speaking better than either of the SK Telecom T1 aces, they were often spread quite thin, and were much more prone to sniping from the other teams due to their team's lack of depth, which explains the much higher ACE match win rates boasted by both the SK Telecom T1 aces. Despite SK Telecom T1's long history, there has been only two occasions of an SK Telecom T1 player being awarded the "Most ProLeague Regular Season Victories" title, and Bisu joined iloveoov as the only SK Telecom T1 player to achieve that particular title. Even Midas, for all his regular season exploits and play-off round excellence, never quite managed to rake in the most number of ProLeague victories out of any player during the regular ProLeague season, which is why the likes of NaDa ended up with a greater number ProLeague one-versus-one victories back when Midas was arguably the best ProLeague ace on the planet. Hey Letmelose, I have a question about the "Most ProLeague Regular Season Victories" title. I believe there was a season, maybe 2009 or 2010, when Bisu, Flash, and Jaedong were all within 1 win of each other towards the end. Instead of giving Bisu the change to get the title, SKT fielded Boxer. Am I misremembering something, or did this in fact happen? If so, we can say that SKT took that title from Bisu (would be 2 for him total then) if he had won that game in order to give fanfare? SK Telecom T1 was always about team over player. A football analogy I would make would be Manchester United under Alex Ferguson, because it was never about individual excellence, but always about the club itself, often to the sacrifice of the football players (their individual glory, their national team performance, and their career well-being outside of the context of helping the greater good for Manchester United). Bisu was both blessed and cursed to work with SK Telecom T1 in my opinion. SK Telecom T1 had a deeper player pool than almost any other team, and as a result, Bisu, as a general rule of thumb, had less maps and match-ups to prepare for during ProLeague matches. This is why Bisu had such excellent win percentages when things clicked, and why SK Telecom T1 chose to use him more sparingly if he happened to be on poor form. Out of the Taek-Beng-LeeSsang quartet, Bisu has by far the least number of ProLeague ACE match appearances, but boasts the highest win rate due to SK Telecom T1's selective usage of Bisu. It is a trend that can be also seen with FanTaSy and BeSt's astonishingly high ACE match win rates. For example, due to Bisu's historical struggles versus Flash, SK Telecom T1 tended to use BeSt and FanTaSy over Bisu to match-up against Flash. That was a luxury that wasn't afforded to ace players of other less deep rosters such as Hwaseung Oz or Ongamenet Sparkyz. However, due to their policies, SK Telecom T1 also didn't use Bisu any more than they saw fit. Bisu was on the form of his life during the Shinhan 2008/2009 ProLeague season, performing admirably across all three platforms of competition (OGN StarLeague, MSL, and ProLeague) for the first and last ever time during his professional career. A team that would try to create a everlasting legacy for their star players might have made something out of such a glorious form. Instead, SK Telecom T1 decided to save Bisu once they secured first place for strategic purposes towards the end of the season, and utilized FanTaSy to snipe Jaedong down knowing Jaedong would mainly prepare for Bisu. Results speak for themselves, and SK Telecom T1 was able to completely run circles around Hwaseung Oz, and more specifically, Jaedong at the very height of his powers. However, for Bisu personally, he retained his incredible ProLeague win rate, but lacked further opportunities to gain more ProLeague victories. For Batoo OGN StarLeague, Bisu had the chance to reach the OGN StarLeague finals, but FanTaSy was more prepared for the semi-finals, and Bisu lamented the fact that his team wasn't more involved in helping him fulfill his dream of winning the OGN StarLeague. As much as KT Rolster and Hwaseung Oz slaved away Flash and Jaedong for their own needs, they also did pretty much everything in their power to keep these two players happy. When Flash had difficulties defeating Jaedong, KT Rolster actively sought out hours of long practice sessions with ZerO and Soulkey, probably the best orthodox zerg-versus-terran players at the time outside of Jaedong, and immensely improved Flash's game as a result. Jaedong had absolute authority over all the B team practice partners that Hwaseung Oz had, and had the freedom to play freakishly long hours to fine-tune his mechanics and instincts (Jaedong said on stream that he would constantly rotate practice partners once he felt like they were starting to lose focus due to his insane practice demands). GoRush, a high profile mercenary for SK Telecom T1 once said that SK Telecom T1 practice culture was different from Greatest One (that later became CJ Entus), because practice partners were given more freedom, rather than being absolute slaves to the needs of the top performing A teamers. Both of these teams catered specifically for the needs of their superstar aces, and focused a lot on increasing the overall capacity of the sole reason why these teams remained relevant, rather than utilizing Flash and Jaedong efficiently. In short, KT Rolster and Hwaseung Oz knew they couldn't survive without their aces, while for SK Telecom T1, Bisu was just one of their many superstar aces that needed to be used just right for their ProLeague success. I can't think of a single anecdote where SK Telecom T1 went out of their way for Bisu to have success outside of the context of his ProLeague matches. From the looks of it, it seemed as if SK Telecom T1 had no such heavy need for Bisu to break out of his comfort zone, and used FanTaSy and BeSt if Bisu wasn't up to the task. It ended with the best possible results for SK Telecom T1 as a team, but BeSt towards the end of his days was more of a match-up sniper than the all-rounder protoss prodigy he was once hyped up to be. Bisu also ended up as more of a great servant for SK Telecom T1, rather than an all-round great player. It was like a deal with the devil. Bisu was able to reach ProLeague greatness with SK Telecom T1, something he never managed with MBC Game HERO, but it came at the cost of his individual league prowess, and I believe SK Telecom T1's policies has something to do with that. FanTaSy had incredible individual league success, but that was due to his insane drive (I personally think he was the hardest working player towards the end of professional Brood War when Jaedong's wrists were starting to give out) that prevailed despite SK Telecom T1's policies. Most players at SK TelecomT1 tended to be used up, and become a vehicle for SK Telecom T1's ProLeague success, which was the case for numerous mercenaries including Midas, GoRush, and Bisu, all of whom never quite saw their full potential realized outside of the context of the ProLeague while they were with SK Telecom T1. It's a shame because Bisu used to be incredibly savy in his individual league preparation before he joined SK Telecom T1, and while he improved a lot in some aspects (Sea said that as a gamer, Bisu became much better), I feel like he became a slave to the SK Telecom T1 system. It was a deliberate decision on SK Telecom T1's part to save Bisu after they secured the regular season first place. 1) Bisu reaches the semi-finals of the OGN StarLeague. 2) Bisu wins Clubday MSL. 3) Bisu wins the ProLeague MVP award alongside Jaedong. 4) Bisu wins GomTV Classic S2, the only season that had all four members of Taek-Beng-LeeSsang participating. 5) Bisu wins WCG 2009 Korea, and it is his first and only time he represented Korea at the World Cyber Games. Both Jaedong and Bisu were on fire during this season, and while Bisu slumped quite heavily after this season, there's a reason why Stork said at the time these two would be the ones to decide the race for the bonjwa title. Perhaps with a little more interest and assistance from his team, maybe Bisu would have been able to keep this momentum going, rather than being reduced to a ProLeague-only player. For example, for his first ever finals (GomTV MSL S1) there were no overlapping ProLeague schedule. However, he reached two further MSL finals whilst he was with MBC Game HERO. Bisu skipped a single ProLeague match for MBC Game HERO leading up to his GomTV MSL S2 finals. Bisu also skipped six ProLeague matches for MBC Game HERO against various teams leading up to his GomTV MSL S3 finals. For Bisu's first ever MSL finals whilst he was with SK Telecom T1, he misses out on zero ProLeague matches. For Bisu's last ever OGN StarLeague semi-finals appearance, his last deep individual league run during his professional career, he misses out on zero ProLeague schedule for SK Telecom T1. For a team that was willing to save Bisu for strategic purposes confined to the ProLeague, SK Telecom T1 were not that lenient on giving Bisu extra room to practice for individual league glory like he was afforded on MBC Game HERO. Although MBC Game HERO was a poorly managed team with barely any funding, I believe they did a better job of balancing individual league and ProLeague practice time for Bisu, who was not a player who thrived when stretched too thin. SK Telecom T1 was historically ruthless with all their players, and in late 2006, even made players give up individual league slots if they performed poorly in the ProLeague. It was all about the greater good of the SK Telecom T1 empire than individuality. The only player that could be said to be potentially more important than the team itself was BoxeR, and he was the biggest icon of them all. While it's on my mind, I will compare members of Taek-Beng-LeeSsang, and how much ProLeague schedule they missed out on if there were individual league finals to prepare for. Where do you get your data from letmelose? I once asked if there was any way I could query TLPD or get an exported data dump of TLPD, but apparently TL were using some really old database technology that nobody understood/remembered how to query properly. Do you manually look all this data up or do you have access to something better? could you talk a little bit about best's reputation among other progamers and the fans? best has always been one of my favorite players. there's something amazing and comedic in the way he plays, but i feel like he's always been underrated by western fans. I believe commentators (for both Ongamenet and MBC Game) loved BeSt due to his trademark playstyles (commentators who have to create distinct narratives tend to like players with strong characteristics such as July or BeSt). CoolweN (the colour caster for MBC Game) said that BeSt was one of his favourite protoss players ever, and said that BeSt had by far the most refined build orders and probe count optimization out of any protoss players he had seen. Although it has been many years, I think one of the coaches for SK Telecom T1 said for an interview that while Bisu was the more fundamentally sound player of the two SK Telecom T1 protosses, BeSt had a more cerebral approach to the game, and had a knack for coming up with really fluid build orders. Bisu has said on stream that he re-learnt how to play the protoss-versus-terran match-up by copying BeSt's meticulous approach to the match-up. I personally think BeSt was a cerebral protoss player who was somewhat like PuSan (although I think PuSan's influence on the meta-game was greater) in that he had some really refined build orders that allowed him to optimize his macro-management like no other. However, I think his actual accomplishments as a professional player, like PuSan, is about right for a competitor of his capabilities. There is more to mastering the craft than coming up with really refined build orders, and BeSt towards the end of his professional career was mostly utilized as a ProLeague sniper because he simply wasn't well rounded enough. However, at the peak of his powers circa 2008, BeSt was indeed a monstrous player with a lot of upsides, and I believe that his build order crafting abilities helped Bisu a lot in regaining his confidence after slumping really heavily in early 2008. However, while Bisu learned a lot from BeSt, I don't think that relationship was necessarily all that great for BeSt, who couldn't mimic Bisu's playstyle like Bisu could somewhat mimic his. BeSt, like a lot of cerebral players, had a tendency to slack off due to the ease with which they could manipulate the flow of the game to their advantage rather than grinding games non-stop. BeSt said himself that his success in 2008 was possible due to the hard work he put in as a rookie initially, and once he started to reach the top, he got complacent and coasted off the effort he put in during the earliest stages of his career. The classic "Doh"sairs. However, if I recall correctly, towards the end of BW-only Proleague, there was a time when Best was putting up great numbers in PvZ while Bisu began to finally perform in PvT (and simultaneously dropping unexpected games in PvZ) if I'm not mistaken? It felt like they underwent a role reversal. If you also remember something of this nature, what do you think was the root cause of that? I remember in the most recent ASL, people were saying Best had no chance against hero (if I recall correctly) and I sat there thinking, "does no one remember how good Best actually got at PvZ towards the end?" I felt and feel like I'm going crazy haha. I think one of the root cause of that has something to do with the generally protoss friendly map pool used for that last ever proper Brood War ProLeague. It is very telling when protoss-versus-protoss becomes the most frequently seen mirror match-up in the league.